Gifted Mathematics: Prize Maths Quiz: Winners of PMQ7! 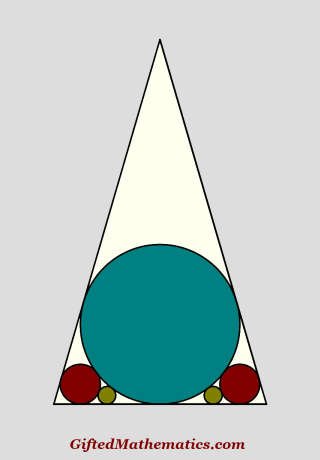 The latest PMQ, Five Circles in a Triangle, probably had the longest solution so far, involving both geometry and a bit of number theory. Once again, like last week, we have only one Winner. An email has been sent and I look forward to welcoming a new member into our online mathematics club. The next competition, PMQ8, will start on Friday.